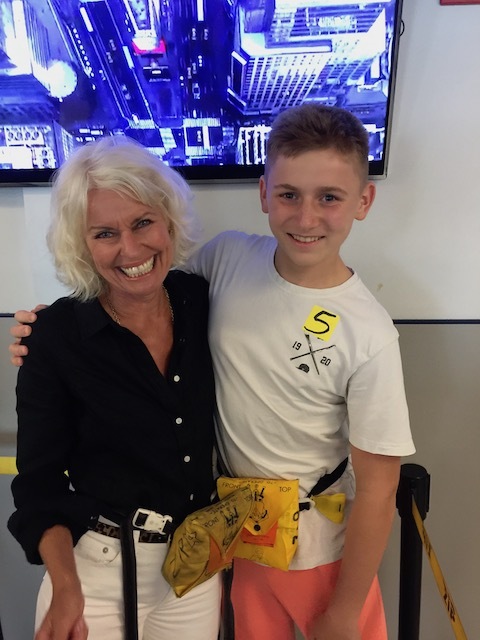 So Friday last week our grandson Indi returned to London after a month in Eleuthera. Needless to say the time just flew – but it was a great opportunity to get to know him on a deeper level than we ever otherwise would have done. Many thanks to American Airlines who made the worry of an unaccompanied minor flying halfway across the world pretty much worry free ! 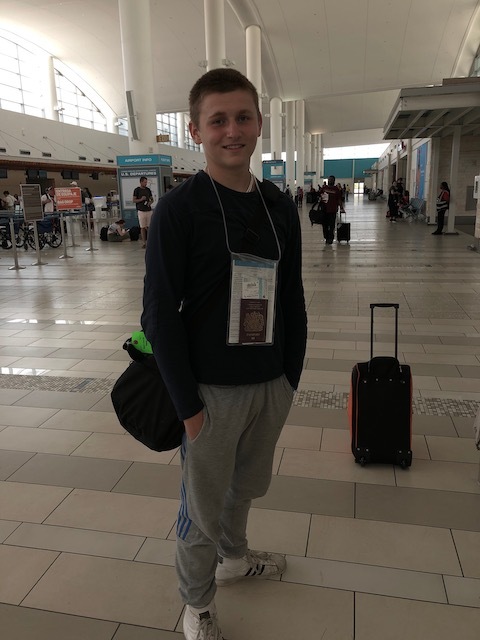 Bob, Indi and myself flew to Nassau on Friday morning and got him checked in and all the relevant forms – well one actually ! – filled in. A supervisor then whisked him through Customs and Border Control in record time and quickly told us that we were free to go. They saw him safely onto the flight and then also through the plane change at Charlotte and on to London where he arrived on Saturday morning to be met by his father Cassius. Bob and I had decided to stay on in Nassau and have an overnight stay at BahaMar. 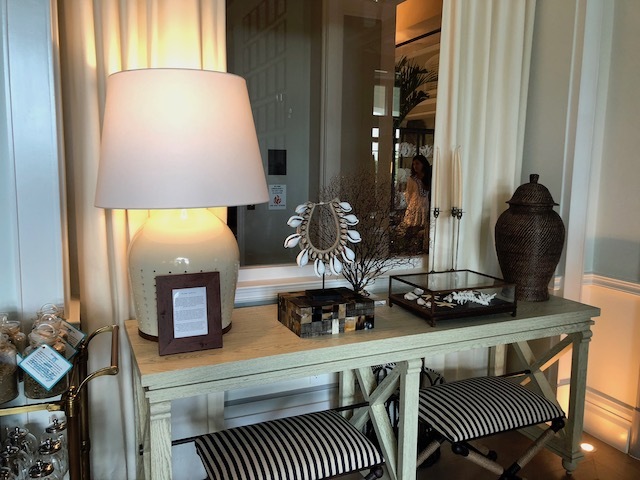 We had heard many tales – good and bad about BahaMar – but our experience was very good indeed. 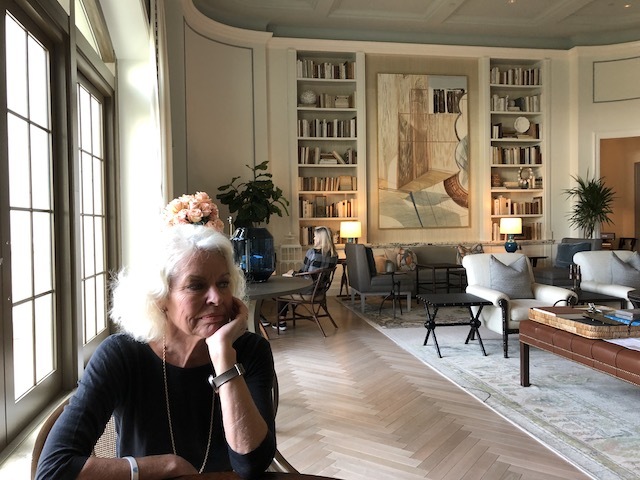 We stayed at the Grand Hyatt Hotel and the room was lovely. 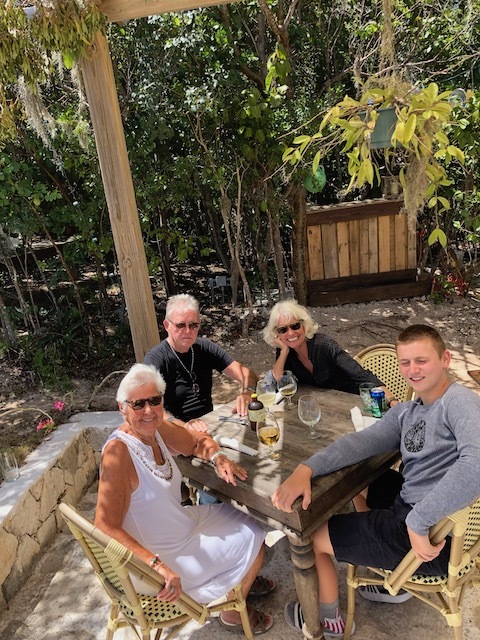 We ate that night at the Chinese Restaurant called Shuang Ba – many thanks to the Griffin family girls here in Governors Harbour for the heads up on it ! It was delicious – great staff , great food and a really good time. 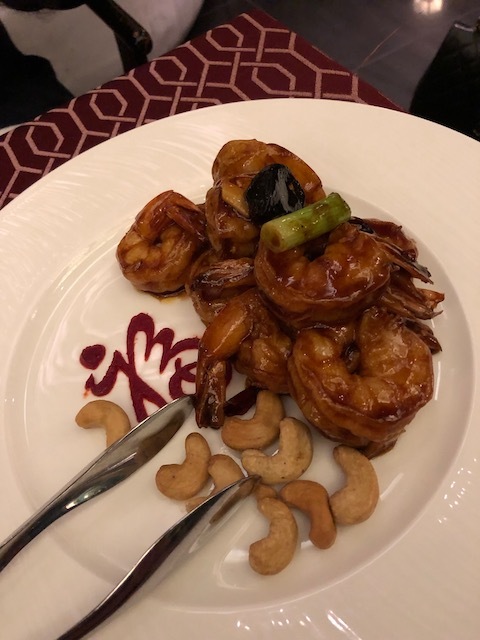 Absolutely delicious – Gong Bao Prawns with cashew nuts and Chinese leek – I don’t know what the Chinese character says on the plate – but it was written in sauce ! The picture at the top was taken in the restaurant with our server …..
On Saturday we had breakfast at the Library. This is a delightful room where you can have drinks in the evening and breakfast in the morning. It has a great ambience and the decor is beautifully done. They could have done with a couple more staff for breakfast but the experience was very positive. After that we had a good wander around the grounds, saw swimming pools and beach areas galore – again very friendly and helpful staff and some interesting looking food trucks near the beach. A view of the Library where we ate breakfast. 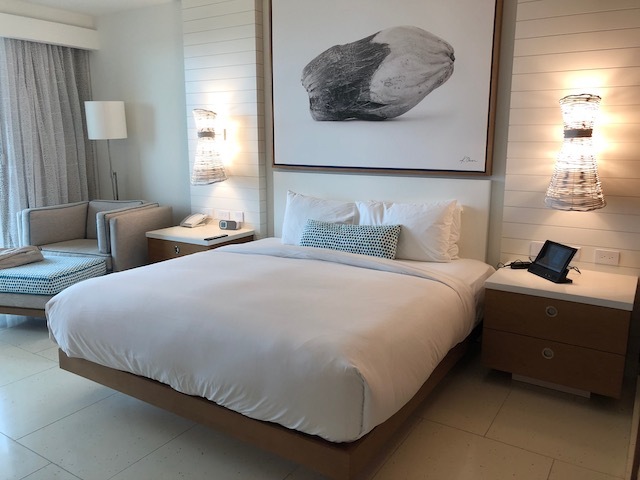 We would definitely stay here again and I do recommend it if you either have to stay overnight in Nassau – or if you have a good few hours to wait for a flight. This week of course is the Eleuthera All That Jazz Festival with functions from Wednesday until Sunday – all raising funds for Haynes Library. It is a lot of fun and brings plenty of people to the island specially to experience the festival. The program that is in place this summer at the Haynes Library is based on improving literacy skills but it sounds like a thoroughly well planned and fun course. You can rest assured I will give plenty of coverage to it whilst it is going on….. So the funds raised by the festival will be put to good use. On Monday 15th April Don Bouchat is heading up another fundraiser this time for HACE – also a very important function in my book. It is a dance party held at La Bougainvillea – $30 on the door with all the proceeds going to support the ambulance service – so close to our hearts here in central Eleuthera. So if you are here on island get those dancing shoes on and get down and boogie for a great cause. 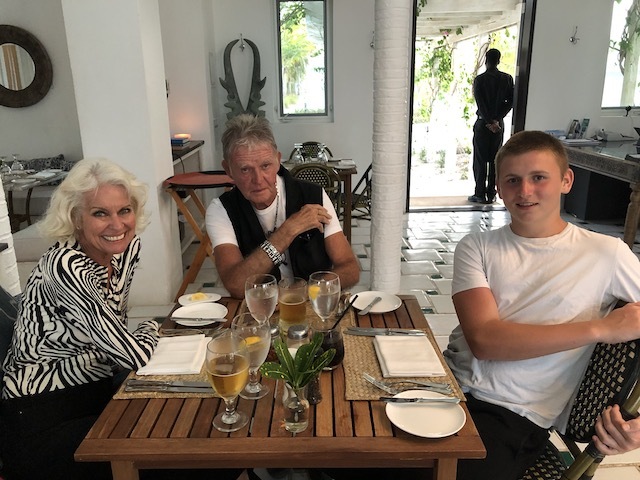 Several of the jazz musicians will still be here after the festivities so it will be a great musical lineup…..
Just look how much bigger he is now and so grown up ….. I haven’t shrunk I swear ! 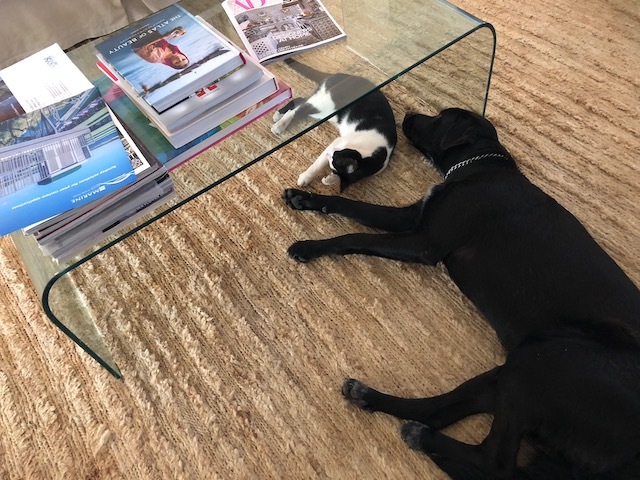 This shot is specially for Carolyn – Ceci and Rudge relaxing together ! Indie musta been wearing elevator lifts in his shoes 11 mos. later!!! That’s what I thought !! Sure – let me know when you are here ! Oh! Kathy, I don’t know where to begin! Your cottage decor beats the Hyatt, hands down! And, what did you feed that boy? He shot up in one month! By the way, you look great in black and white. My favorites, as well! Ceci is one lucky cat! 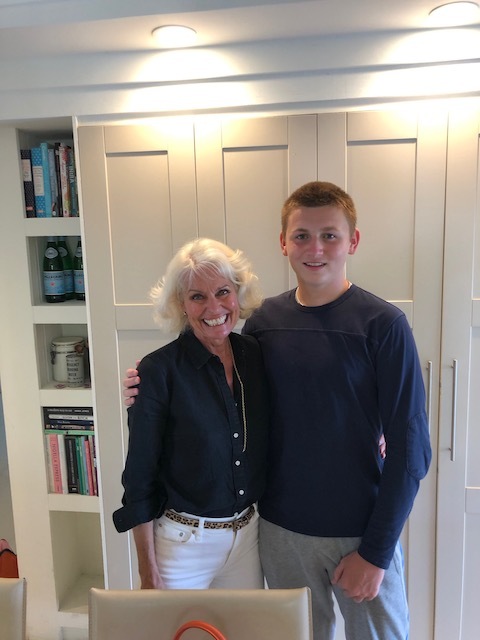 Thanks Camilla – sorry for the delay in getting this published ! The amount that a boy eats every day is staggering ! Thanks for the compliment – I deliberately wore exactly the same outfit that I did in the first picture – and I too love black and white …..